Zebra Interactive franchise business opportunity. Free Zebra Interactive business franchise information. 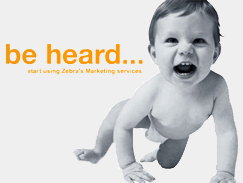 Zebra Interactive is a marketing services business with more than 20 products and services from day one with no stock, no staff and no royalties. Zebra interactive has over the years gained massive credibility with some of the world's biggest brands and is looking for motivated people to partner with, using our unique, easy to follow and proven franchise model. When you own a Zebra Interactive Franchise you will have access to more than 50 staff working to marry the design, marketing and technology strategies that you have developed to turn your ideas into reality, aiding your clients to reach new heights with their business. What would you do as a Zebra Interactive Franchisee? 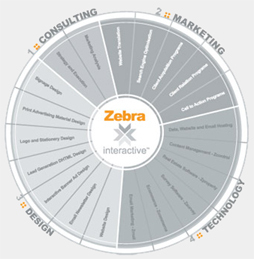 Zebra Interactive Franchisees integrate consulting, marketing, design and technology into a complete solution for their clients. A solution that integrates campaign management, with delivery and reporting, rapid execution of design briefs and world class marketing strategies. You will develop cost effective and innovative strategies in which to best position your client's brand in an increasingly crowded marketplace, with pinpoint accuracy to exactly the right people at precisely the right time. Access to some of the world's foremost marketing innovators and resources. The credibility of a globally respected brand. The ability to conceive, launch and monitor campaigns from wherever you want and sell to whoever you want anywhere, anytime. You invest in your business growth alone - no big office to support with dozens of staff and no expensive or complicated IT systems or overheads to manage. Ongoing program provides dedicated business coach and Sales Development Manager. Project manager provides coordination and support for all production work carried out for franchisee. To learn more about the Zebra Interactive franchise opportunity, simply complete the form below.